I remember standing in my kitchen 15 years ago saying these words to my wife. We were thinking about buying something for the house and I was worried that my position as a project manager wasn't secure enough for us to make the purchase. I was worried because I was not a technical person, yet I was project managing a technical project full of technical people. I didn't understand databases or SQL or Java; I didn't even know how a phone worked yet, and I was working for a telecom company! How could I possibly manage a project in this context with so little domain or technical knowledge?! I was bluffing as best I could, but I thought that one day they would realise I didn't know what I was talking about. What I didn't realise at the time was that I didn't need to know that stuff because the people that mattered did. In fact, I believe that if I had known that stuff, then I would have been much less successful in my job. You see, the development team knew about databases and Java and SQL, and the customer knew how phones worked. If I wanted to run the project, I mean really micromanage it, then I would have needed to know all that stuff. But that wasn't my goal. My goal was to enable the people around me to be able to do what they needed to do, to apply their knowledge, intelligence and experience to making the project and product work. Being an impostor actually helped me avoid being a micromanager. What I needed to know and learn was how to enable those people. And then I needed to learn to be comfortable with being an impostor. Ever felt like that? It's completely normal. In fact, it would be abnormal if you haven't felt like that because it is believed that up to 70 percent of people have. This certainly matches my personal empirical evidence. ScrumMasters are perhaps more prone to feelings of Impostor syndrome than anyone else in an agile team or organisation. This is partly because of the lack of authority inherent in the role. They have no power, and so often find themselves doubting themselves and their position. Their role is also quite loosely defined in terms of their responsibilities and that increases the lack of clarity and confidence that ScrumMasters can have. Impostor syndrome, like all of the traits that come up in my coaching practice, is not a bad thing. People with Impostor syndrome are generally quite humble, reflective and diligent. They are constantly trying hard to prove themselves worthy (to themselves and others) and rarely settle for mediocrity because of their anxiety about being found out. As a result, people with a high degree of Impostor syndrome are often high achievers. It's not therefore a trait to try and get rid of altogether, but rather, it's important to bring it into balance. Harness the positive aspects while trying to mitigate the anxiety and stress that can come from this trait when overdone. The first step in bringing Impostor syndrome into balance is normalisation – accepting that this is common. Then, consciously appreciating your strengths and bringing others down from the often-overinflated pedestal that you have put them on, because in all likelihood, they are “faking it” just as much as you are! Bringing this trait into balance for yourself in your role as ScrumMaster may also help you coach others on their Impostor syndrome as well. There are some great techniques for dealing with this and other traits that can trap us in my new book, “The Coach's Casebook” available now from Amazon here. 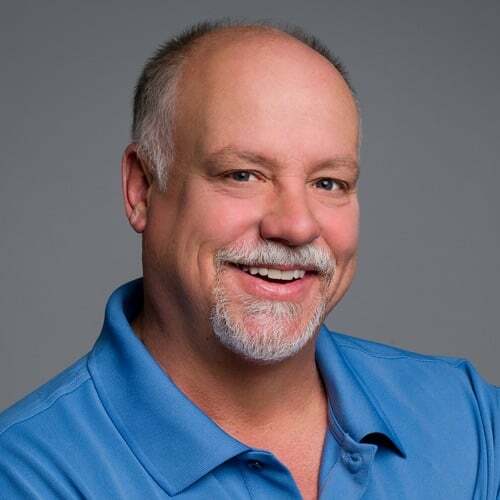 Geoff Watts, as well as being one of the longest established Certified Scrum Trainers and Certified Scrum Coaches in the world, and author of the hugely popular book Scrum Mastery: From Good to Great Servant-Leadership, is also a leadership and executive coach operating out of London, England. Geoff coaches leaders and coaches all over the world and specialises in helping individuals master their traits such as perfectionism, procrastination, people pleasing and performance anxiety among others. His latest book The Coach’s Casebook is available now in print and ebook format on Amazon.com and has been described by reviewers as “The first ‘can’t put it down coaching book’.